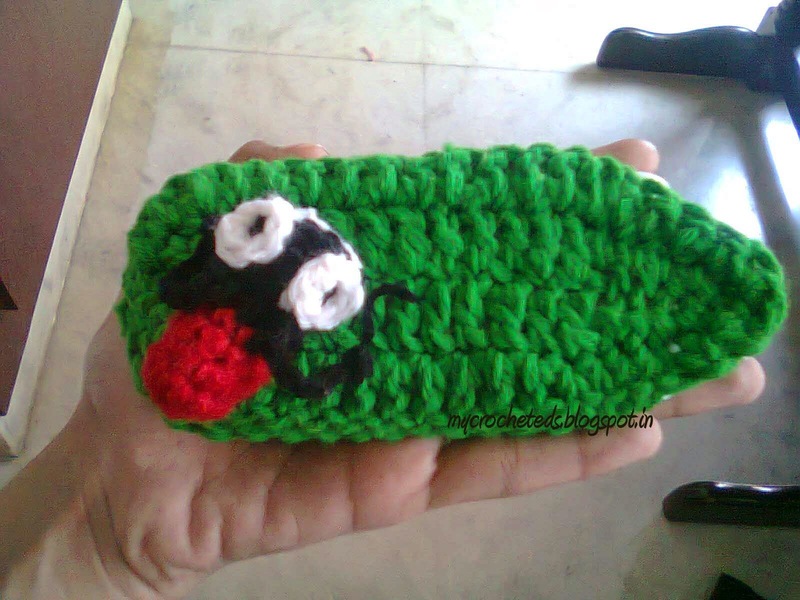 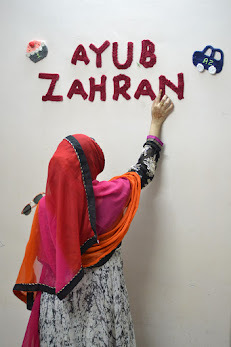 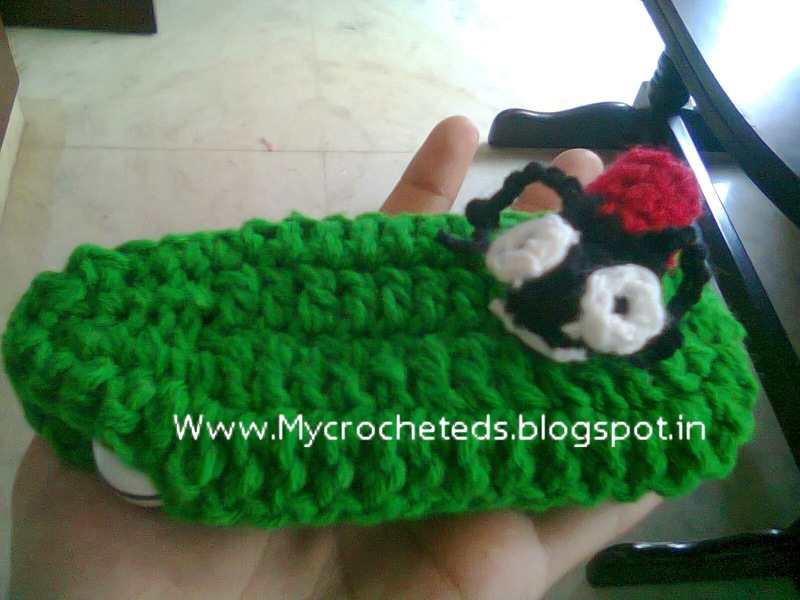 Its made of sc stitches.. 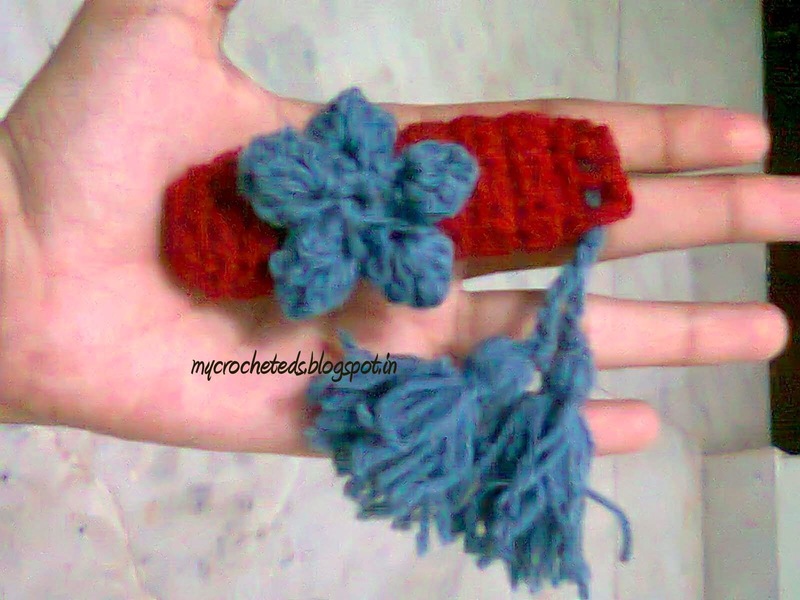 Finish it with ch1 space to insert the tussel.. 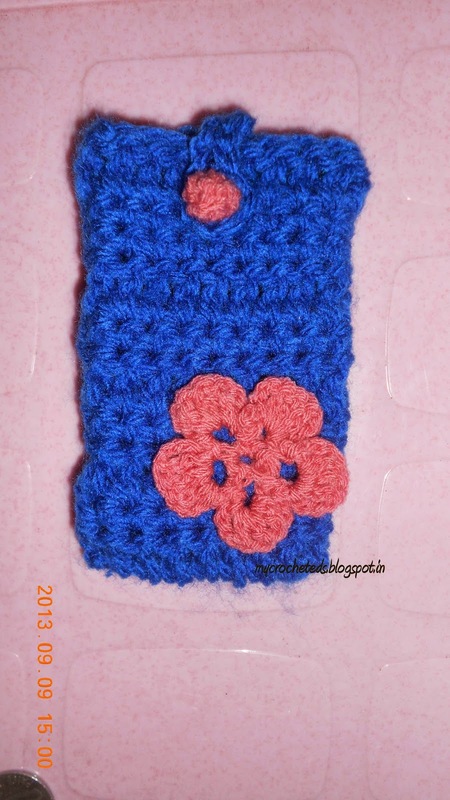 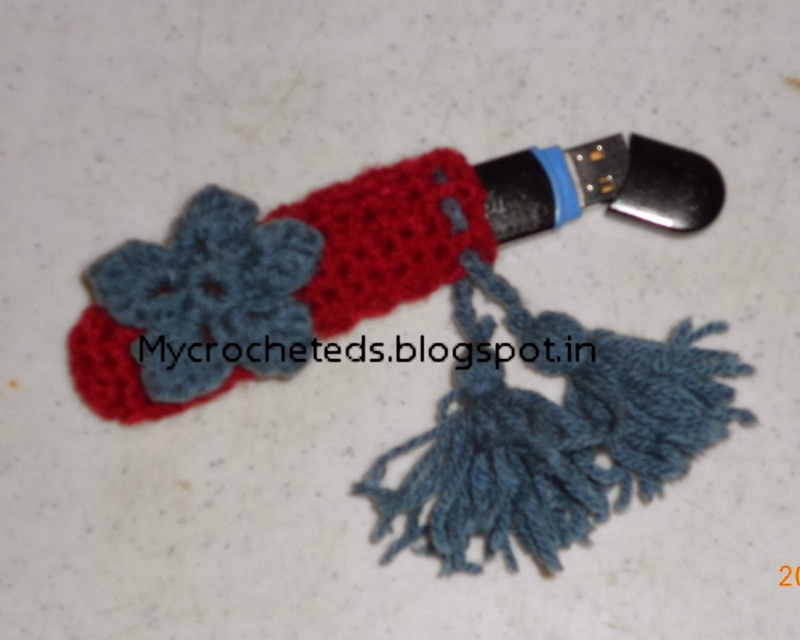 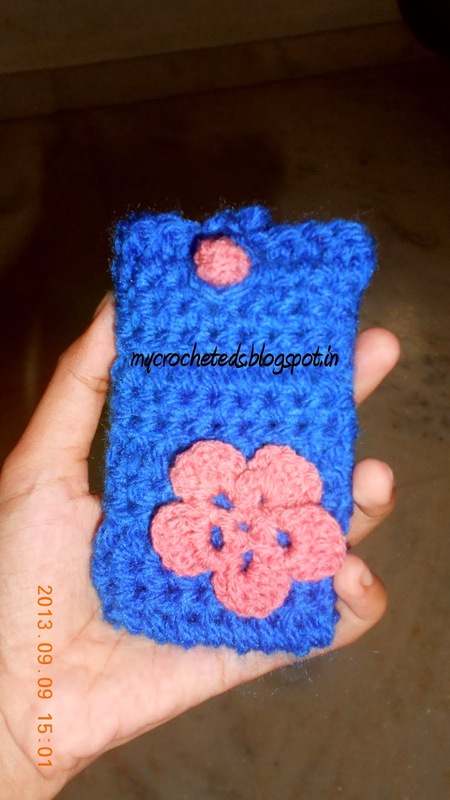 I crocheted this blue mobile cover too for my granny... A simple sc crochet stitch with a basic flower attached.. 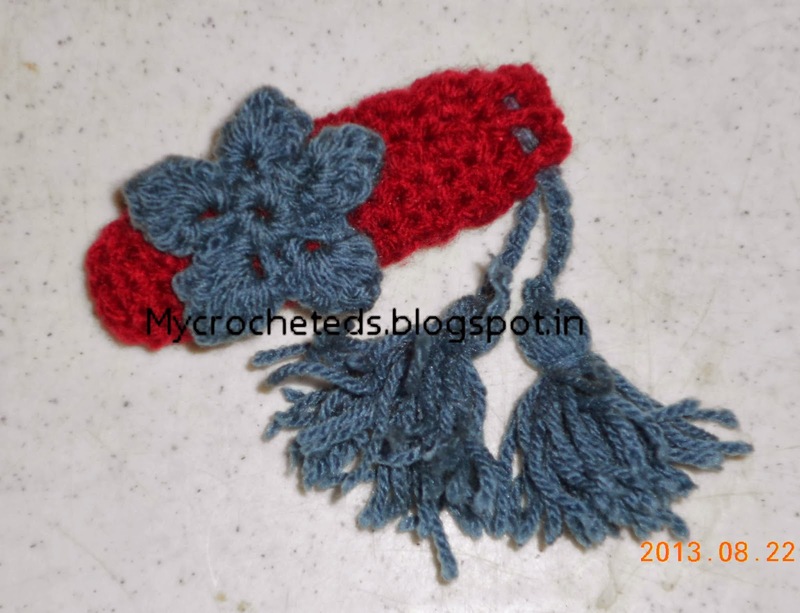 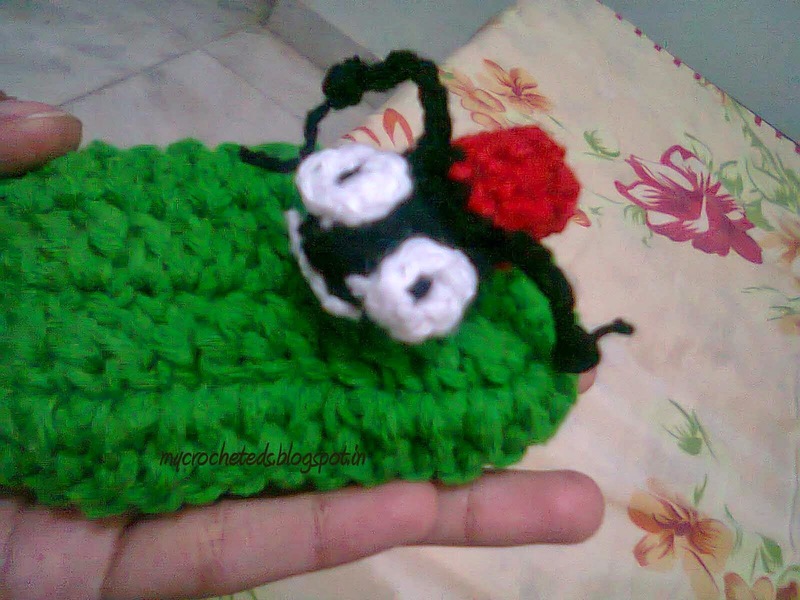 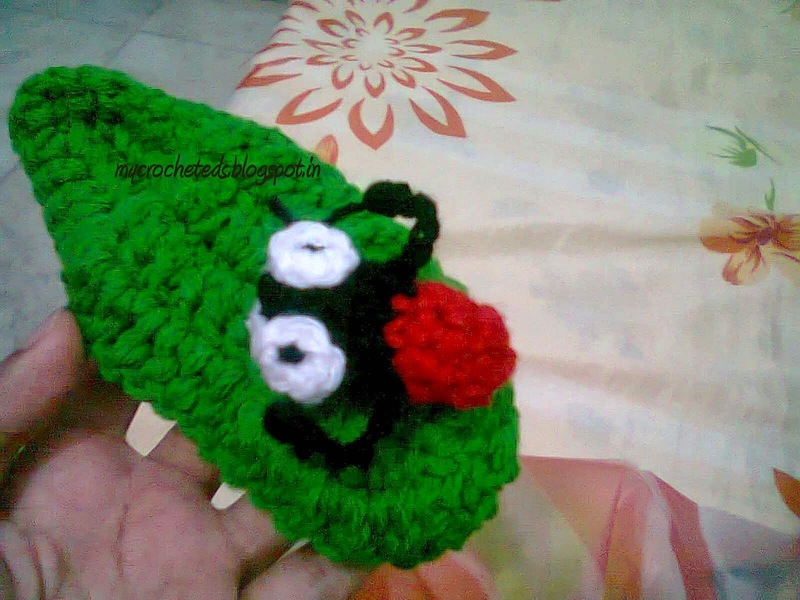 I crocheted the button part too..